Biggest Roster in WWE Video Game History:The biggest roster in WWE video game history! Play as over 120 unique characters and Raise Some Hell with your favorite WWE and NXT Superstars, Divas, Legends and more. Improved and Refined Gameplay:2K16's core wrestling gameplay is smoother and more responsive than ever, with thousands of new animations, enhancements in chain wrestling, new working holds and reversals to deliver the most fun and authentic WWE experience to date. 2K Showcase:Relive and play through some of the most iconic WWE matches and moments of all-time in 2K16's single player story campaign, 2K Showcase. Complete objectives to unlock legendary characters, gear, match types, and unlockables from WWE history. New Creation Suite Features:Utilize 2K's best-in-class Creation Suite to develop your WWE Universe, including options to create, customize and compete with unique Superstars, Divas, Arenas, Championships and more. Upload your creations and share with the WWE Universe online! 3-Man Commentary Team:For the first time ever, WWE 2K16 will feature a 3-man commentary featuring Michael Cole, John 'Bradshaw' Layfield and Jerry 'The King' Lawler! With thousands of additional commentary lines in the game this year, 2K16 will feature the most authentic WWE commentary to date. 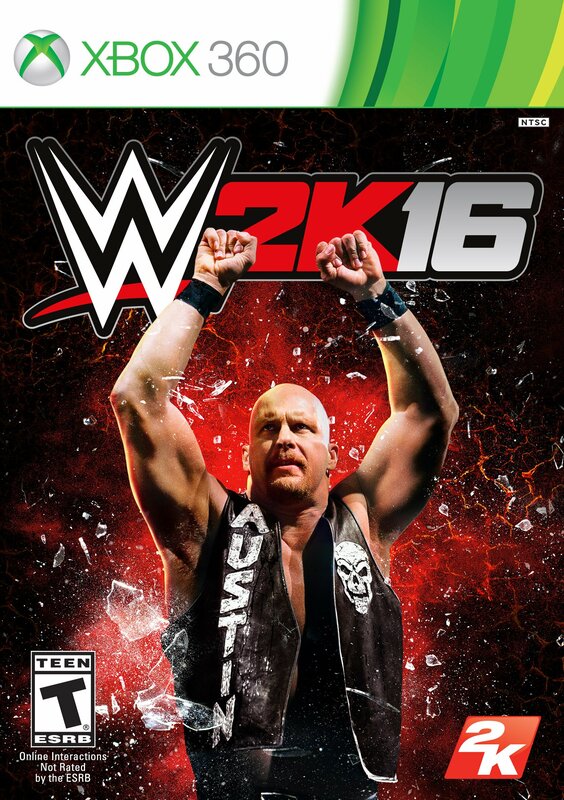 Get in the ring and Raise Some Hell with WWE 2K16! The undisputed champion of wrestling games returns with the biggest roster in WWE games history and the 'Texas Rattlesnake' Stone Cold Steve Austin as its Cover Superstar! Play as your favorite Superstars from the past, present and future and experience the most authentic, comprehensive, in-your-face WWE video game.